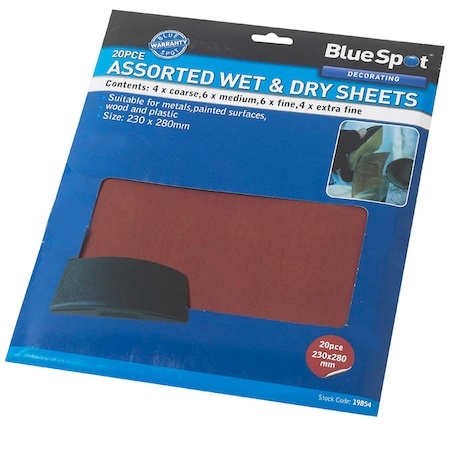 20 sheets of wet and dry abrasive paper from Blue Spot Tools. 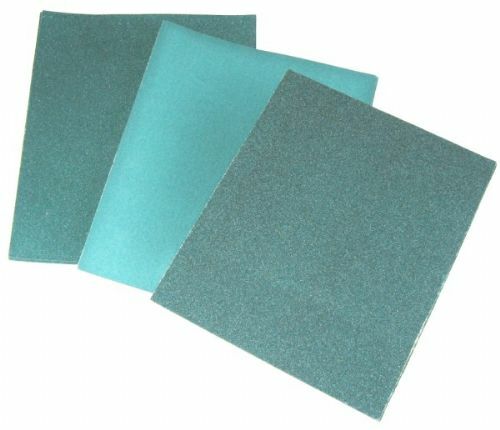 Each sheet of abrasive paper measures 9" (230mm) x 11" (280mm) approximately. 4 assorted grits, fine, extra fine, medium and coarse, a mixture of 4 x coarse, 6 x medium, 6 x fine and 4 x extra fine. 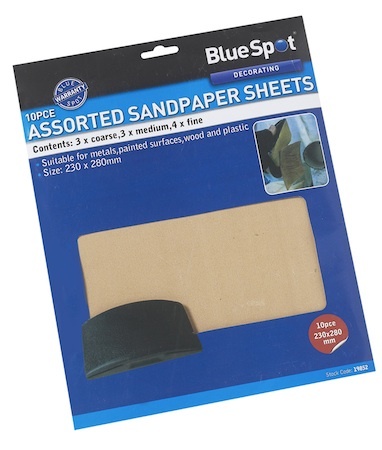 A multi use paper for sanding metal, wood (excellent for craft modelling as it can produce a perfect smooth glass like finish), painted surfaces and some plastics. Excellent value from Blue Spot Tools.